Norway's sovereign wealth fund, the country's collective bank account now valued at $1 trillion and built from off-shore oil reserves, is often held up as a prime example of how such funds can succeed. The usual rule: make prudent investments, stick to them, be transparent and watch the money grow exponentially. But Norway's Government Pension Fund, as it is formally called, is only one of an estimated 80 or so sovereign wealth funds worldwide that collectively hold $7 trillion US. These others probably also hold lessons for how governments can save wisely for future generations. Lessons that might apply to Alberta's Heritage Savings Trust Fund, which began in 1976 with the best of intentions, but seems to have stalled out at roughly $17.2 billion. But rating these sovereign wealth funds, it turns out, is a subjective affair. "How do you define success?" asks Michael Maduell, president of the U.S.-based Sovereign Wealth Fund Institute, a research organization. "Is it investment returns? Is it their goals?" By most measures, Norway's 25-year-old fund — easily the largest in the world and considered very well-run — comes out a top performer. "For sure, it's the most successful," says Greg Poelzer, a University of Saskatchewan professor who has delved into the "global lessons from Norway" in a recent report published by the Macdonald-Laurier Institute. One of the keys, he says, was Norway's decision to move all its oil revenues out of general revenues, a strategy that set the stage for greater economic stability. "You don't have this overheating," says Poelzer. "You don't have a super-high inflation and you also avoid, especially with government budgets, the roller-coasters which we're seeing in Alberta right now​." Beyond size, though, there are other measures of success for sovereign wealth funds, says Pat Schena, an adjunct professor of international business at the Fletcher School at Tufts University in Massachusetts. "Another measure might be in the quality of the management of the fund," he says, pointing to funds in Australia and New Zealand, and to some degree, he says, AIMCo, which manages the Alberta fund. "People view them … very positively because of their transparency and good governance." Poelzer sees other successful funds closer to home, in places such as Alaska and North Dakota. The $52.8-billion Alaska Permanent Fund, he says, has "done very well." "One of the things they did commit to was putting 25 per cent of their oil reserves into the fund and that again has showed a lot of foresight. "Right now where they're going through economic difficulties, because of the downturn in the price of oil, they're in better shape than they would have been otherwise." The investment strategy for the Alaska fund is more aggressive than Norway's. "They'll invest in hedge funds, they'll invest in private equity vehicles. They'll even allow and buy large stakes in companies," says Maduell. But Alaskans seem happy with the results, he says. "Every year everyone there gets a dividend." Poelzer also sees a good investment strategy in North Dakota, where oil started booming from the Bakken formation and state legislators set up the North Dakota Legacy Fund in 2010. It is now worth an estimated $2.4 billion. "What's interesting from a Canadian perspective," Poelzer says, is "we often like to think of ourselves as the more progressive, gentler, kinder, forward-thinking country, and in the middle of the western part of the United States, their legislators have had the foresight to put at least 30 per cent of their resource revenues into a permanent fund." Alberta, by contrast, didn't stick with its original plan of setting aside 30 per cent of its non-renewable resource income when the fund was set up in 1976. By 1987, all that resource revenue went straight to general revenues and the fund has "stagnated" ever since, Poelzer notes in a report. Poelzer also sees echoes of Norway in the North Dakota approach, as Norway, too, was a poor jurisdiction before its oil boom. "You understand why it's important to save for the future because bad times can return, and I think that's the perspective North Dakota took as well," he says. "They're part of the Dust Bowl in the '30s, they've gone through tough times … so they know they have to be smart with the cards they've been dealt." ​Maduell says many funds aspire to be like Norway's, but some of them have their own strengths, which are worth noting. 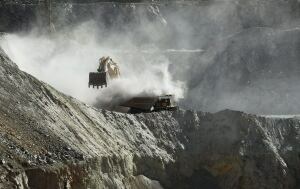 In Chile, a country heavily reliant on copper exports, two mineral funds have been established. The admirable qualities there are the structure and fiscal discipline exercised around the funds. "They had some withdrawals a few years ago, and then they were able to put that money back," says Maduell. That doesn't always happen. Observers point to Ireland as an example of a country where the sovereign wealth fund moved off its original path. The Irish National Pensions Reserve Fund had been "very well run," says Schena. But when two big Irish banks ran into trouble, the fund was used to bail them out. Not unlike Alberta, where the government's own figures show that $36.5 billion in investment income from the Heritage Fund has been transferred into general revenues in recent decades, to look after everything from health care and education to roads and social programs. Two years ago, when oil prices were rocketing up, Alberta announced it would change tack and begin keeping the investment income in the fund, starting in 2016. Premier Jim Prentice is now saying that by 2019/20, 25 per cent of energy revenues will go to the fund. Over time, he says, that will rise to 50 per cent. "I truly believe that one of the great mistakes we have made has been to let our commitment to the Heritage Fund lapse, and that is something I will change," he told Albertans in a televised address this week. The Irish case is "an example of a fund where…it was used to save the country, but that wiped out the wealth fund pretty much," says Schena. However sovereign wealth funds grow, they seem poised to be a bigger global investment player. "They're becoming an investor class that's being taken seriously," says Maduell. "It's another large investor class that's going to be on par competing … with the big players doing deals."